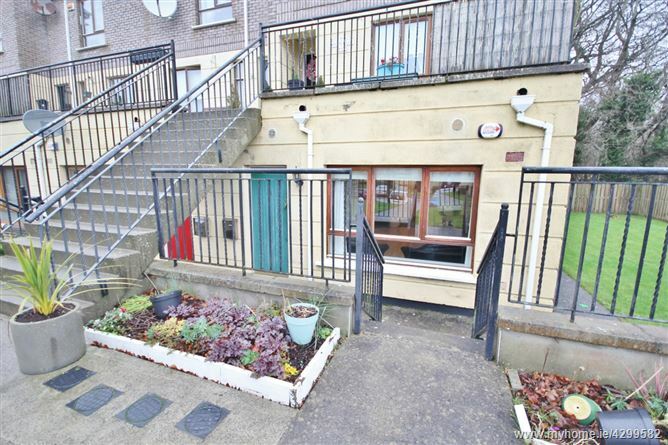 Two bedroom ground floor own door apartment in good condition throughout, situated close to the village of Blessington. 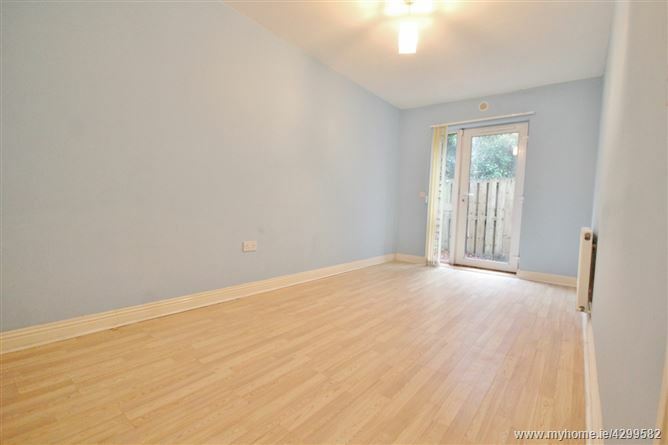 The apartment is spacious extending to c. 70 sq. mts/ 753 sq. ft. with a rear private patio area with side gate access. Internally the property is extremely bright and the décor is extremely pleasing to the eye and would satisfy many tastes. 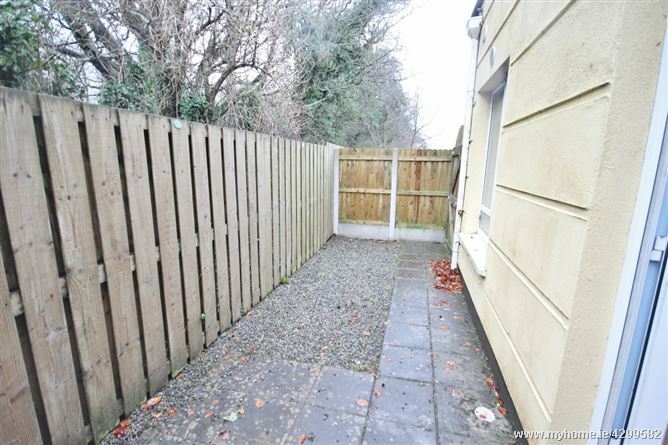 This is a most attractive property in turnkey condition and would make an ideal starter home or investment property. Viewing is highly recommended. 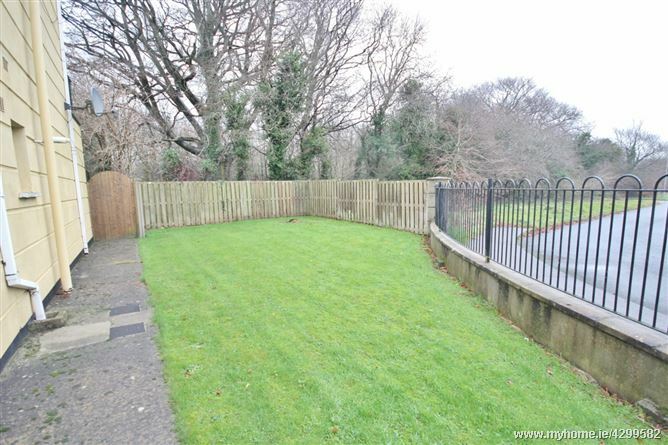 This home is perfectly located overlooking a green area in the popular Woodleigh development on the Dublin side of Blessington Village. 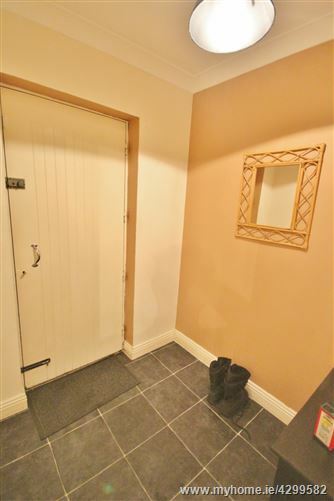 All amenities, shops, churches, schools, pubs and restaurants are within walking distance while the Town Centre development, which includes Dunnes Stores and various other retail and leisure outlets are on your doorstep. Blessington is a popular commuter’s choice being only c. 18 miles from the city and also with the benefit of a regular Dublin Bus service (No 65). 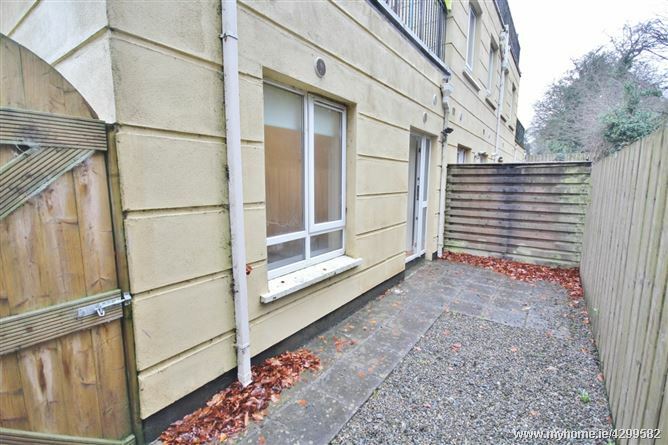 Naas: c. 7 miles. Dublin: c. 18 miles. 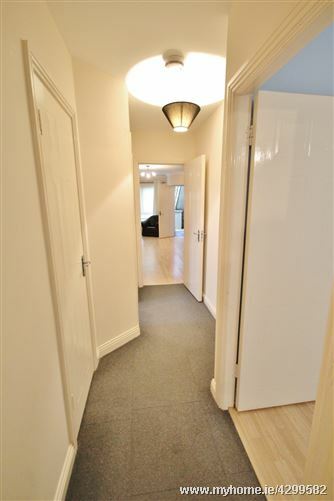 Entrance Hall: 1.70m x 1.70m. With tiled floor. 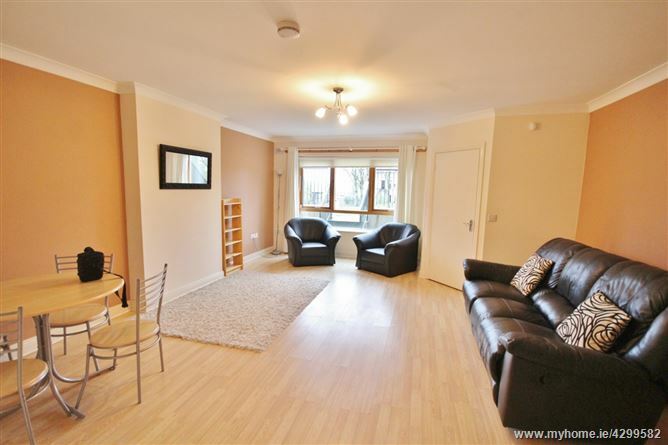 Living Room: 6.40m x 4.90 (max)m. With wooden floor. 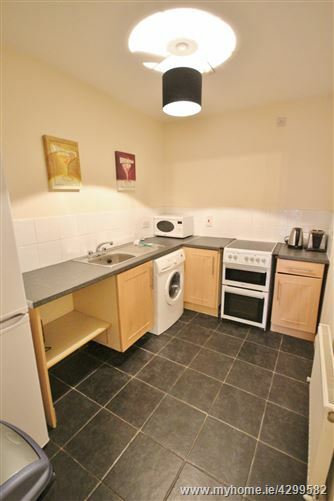 Kitchen: 2.90m x 3.14m. 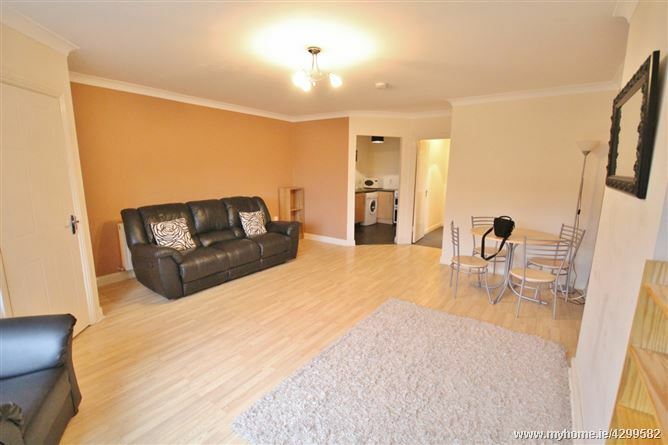 With fitted kitchen units and tiled floor. 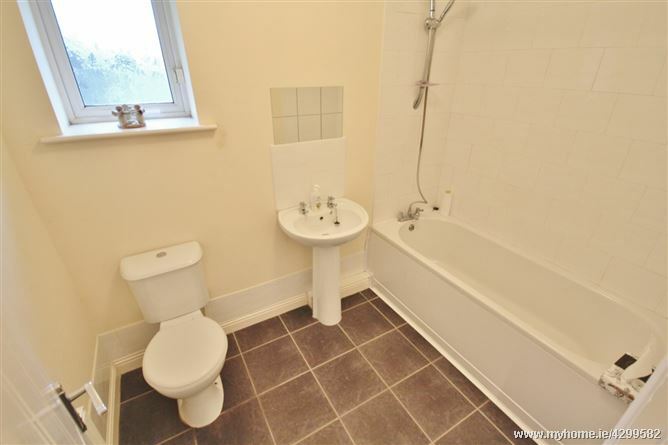 Bathroom: 1.72m x 2.53m. With bath with shower, w.c., w.h.b., tiled floor and part tiled walls. Bedroom 1: 2.50m x 5.00m. With wooden floor and door to rear patio. Bedroom 2: 4.00m x 2.39m. 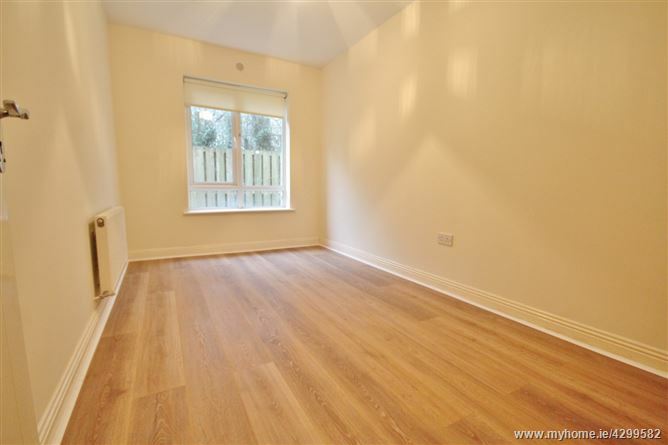 With wooden floor and fitted wardrobes. •	Rear Private Patio Area with Side Gate.